Here's another of my car boot sale finds - summer is such a great time for finding lots of little gems!! Anyone got any idea who made this one? 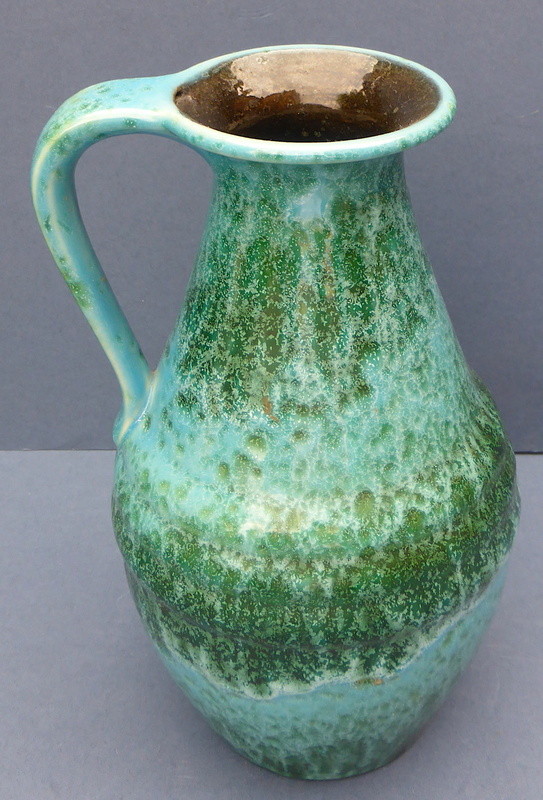 This vase has a this mottled turquoise and green glaze with a slightly textured feel. The inside is a dark grey colour. 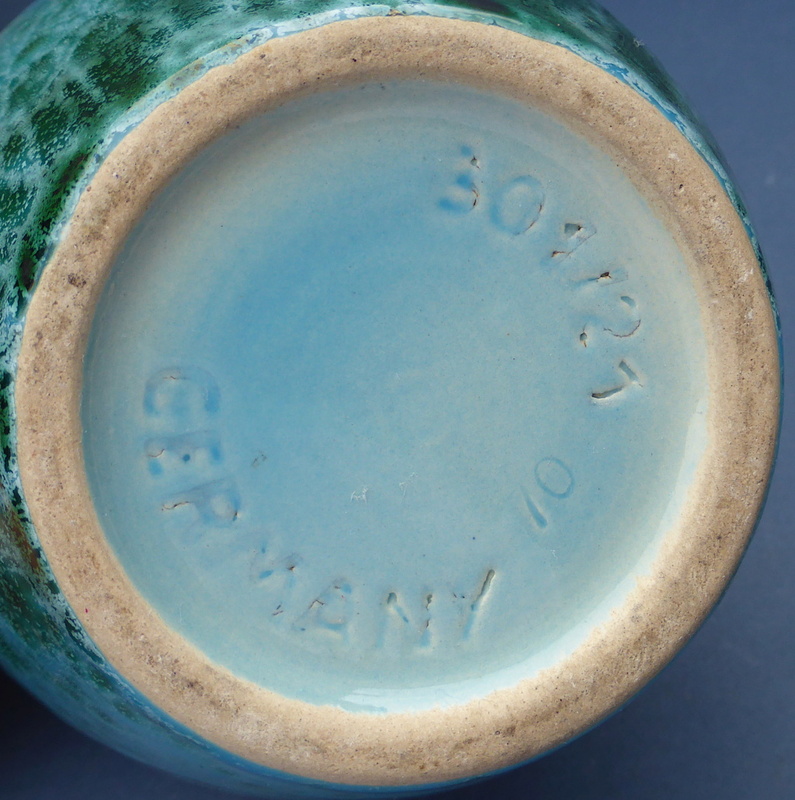 The base is marked 'Germany', 301/21 and 70. The marks are impressed into the base. I estimate it dates to the 1960s/70s. Markings look like Duemler & Breiden. 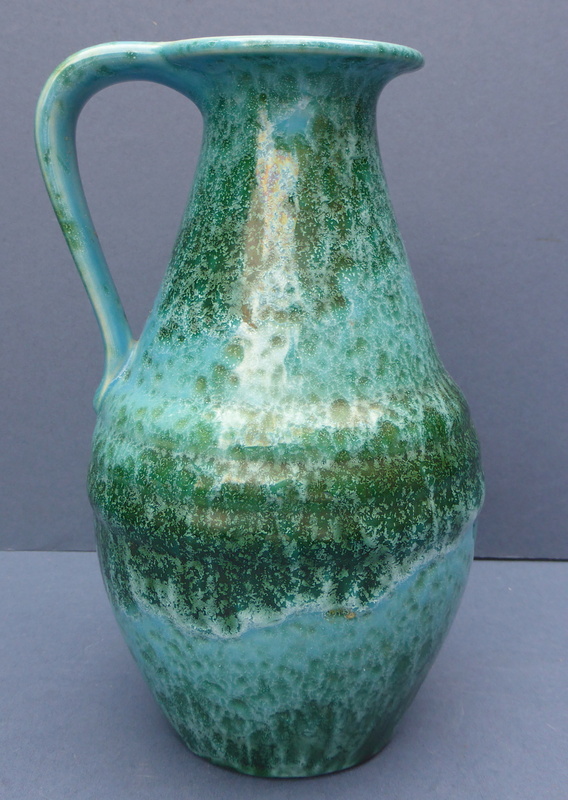 Hi Micha, same shape and similar glaze, so looks like that's it. Thanks for your help!